Sweet tiny baby girl. Mommy decorated her nursery with Pink and grey and gold accents. 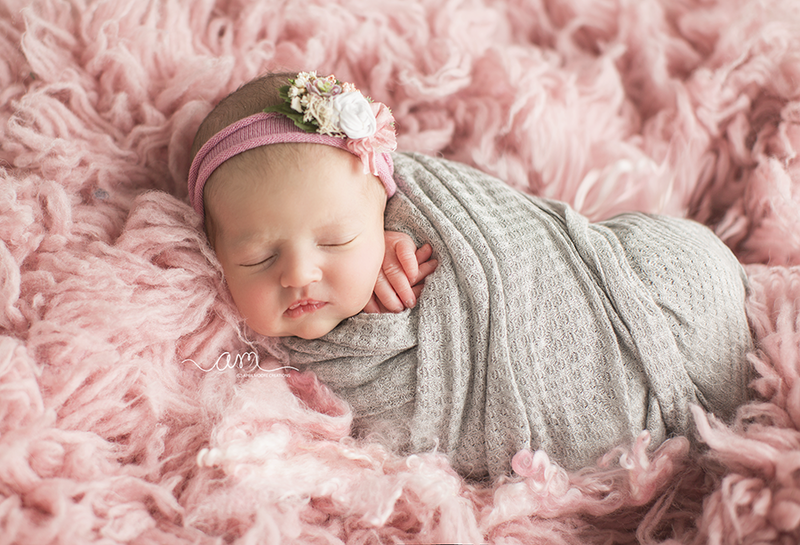 So we wanted to incorporate those in her stylized newborn session. At first Jade wanted to be awake so she liked to be all wrapped up and we had to get a few pictures with her Mommy. The antique white and gold doll bed was perfect size for Jaiden. 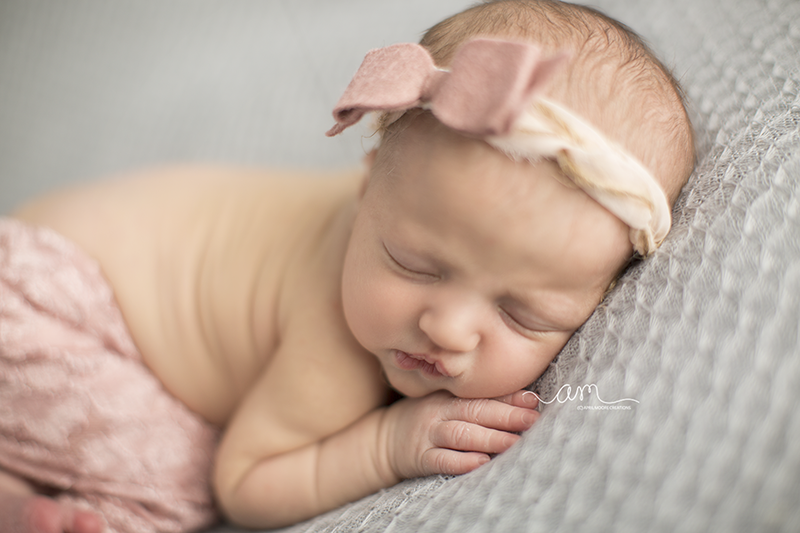 After giving up the fight to be awake she fell fast asleep and I was able to capture her tiny beautiful features.I used headbands from Huckleberry Baby Props and bows and pants from Manly and Pretty Things.